The event hosted by the European Commission, was attended by a delegation from the Caribbean Export Development Agency (Caribbean Export), the regional trade, export development and investment promotions agency of the African, Caribbean and Pacific (ACP) group. 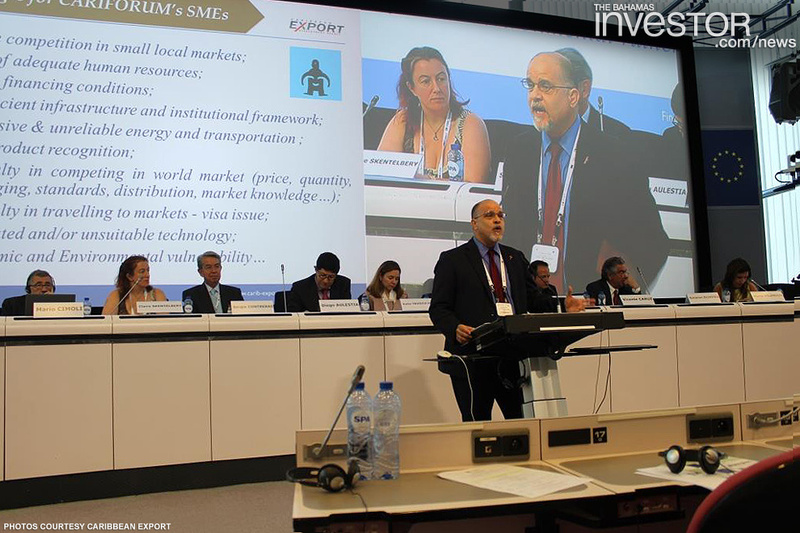 Deputy executive director of Caribbean Export Escipion Oliveira presented on Caribbean SMEs and how to integrate them in trade and investment opportunities with Europe and Latin America. He indicated that a paradigm shift was crucial to achieving global competitiveness. Improving access to finance was top on the list of priorities, with the promotion of specialized funds and guarantee schemes being key avenues to be explored as financing alternatives to traditional banking loans. Access to finance is an area that plagues not only the Caribbean, but also Latin America and Europe, and the agency has already embarked on an Angel Investor programme to provide an additional funding mechanism for businesses. Another area that the region has the potential to breed competitiveness globally is the development of brands and geographical indicators. This coupled with certifications that can present products or services to the international market as organic, fair trade or high quality and indigenous, would enable qualifying regional products to be significantly elevated the in the minds of consumers, increasing demand and importantly the prices they are willing to pay. However, having great products, high in demand by European consumers could be futile for some of the regions business owners. As Oliveira pointed out to the audience of policy makers and government officials: “It’s difficult to do business when you can’t access the EU market”. 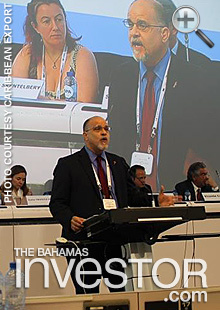 His remarks were made in reference to the challenges some Caribbean nationals have in obtaining visas to travel to the UK and other parts of Europe. The visa issue however is not only a problem crossing the Atlantic, but also within our own region where the freedom of movement between the island together with transportation and logistical issues remains a major hindrance to the fostering of profitable regional trade. KRyS Global, a forensic accounting firm with a presence in The Bahamas, has announced the appointment of two new managing directors to its global Leadership team: Casey McDonald in the Cayman Islands and Lee Coles in its new location, Cyprus. RLTY International Marketing, the global marketing parent company of RLTY NYC has announced it has been appointed to lead sales at One Cable Beach condominiums in Nassau, The Bahamas.